– Gloria Guevara, the previous secretary of tourism for Mexico. If that’s the case, then what hope is there for a wayward traveler who wants to see Mexico in its true form? For those who know where to search, this diverse and endlessly fascinating country holds plenty of treasures. And the best thing? Taking your own path means you can avoid the tourist traps and price mark-ups to make your trip cost much less. If you’re planning a cheap 2014 holiday next year, below are 3 suggestions for a more unusual Mexican itinerary. Sian Ka’an is located on the Caribbean coast near the Mayan Ruins of Tulum. The largest protected area in the Mexican Caribbean, this UNESCO world heritage site is for the traveler who wants to truly experience the beauty of Mexico. You can rent a cabin in the off-peak period, May to December, for around $65 per night. From there various adventures await you; a canal tour through an un-excavated Mayan ruin site to a day trip fly fishing in the salt water lagoons, each day can be filled as you like and according to your budget. As a plus, all of this is designed in conjunction with the conservation of this beautiful site in mind, so you can enjoy yourself without blemishing your conscience. There is a cave that dives down into the ground, home to thousands of various birds, when, at the right time, swirl and dance out of the cave mouth, a collage of colours assaulting your eye. This cave is located in San Luis Potosi, and lack of knowledge has left this wondrous site relatively untouched. Once thought to be the largest cave shaft in the world, and a 1,214 ft. drop from the highest point to the cave floor, this has long been a popular place for vertical caving, but not typical tourism. So take advantage of the inexpensive hotels (around $35 during off peak times) and visit the cave. It could be either an extreme sport enthusiast rappelling down the cave or a brightly coloured flock of parrots that greets you as you peer into its fathomless depths. A tourist trip to Mexico usually targets beaches and historic towns, but not a visit to the largest city in North America. Mexico City sits at an altitude of over 2,000 meters and holds plenty of interest for those wanting to know more about Mexican culture, both old and new. Cheap to navigate on its extensive Metro system, you can lodge in hostels to meet fellow travelers and wander a multitude of sights for free, such as the huge Bosque de Chapultepec park. For shopping, stay away from the department stores and go to a market to bargain your way to a great deal, such as the Mercado de Sonora and Centro de Artesanias la Ciudadela. Soak up the flavors of the capital with a tamale, or spicy maize snack, from one of the many cheap street stalls. What’s more, historic attractions like the Museo Nacional de Antropologia are accessible for under $5. Mexico is a beautiful land with many more tales to tell the intrepid traveler. Visit and create your own story, amongst cities full of contrast and astonishing natural sights. Love Mexico City, been 3 times but the other 2 places are still on my bucket list. Love Mexico City – it’s such a happening place. And HUGE – plenty to keep you entertained for years. Good point about Mexico City! Many world-class attractions there, especially the National Museum of Anthropology. 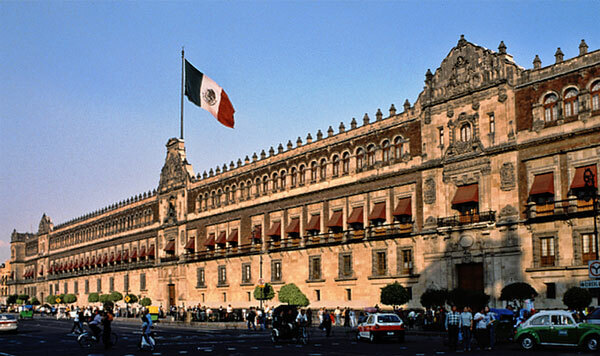 We look forward soon to our trip visiting some of Mexico’s interior colonial towns like Morelia and Guanajuato. Lots to see and do in Mexico away from the beach!